The Boss Baby star Alec Baldwin has been accused by producer Dana Brunetti of lying about not knowing that his co-star Nikki Reed was underage while filming the R-rated indie drama Mini’s First Time in 2006. 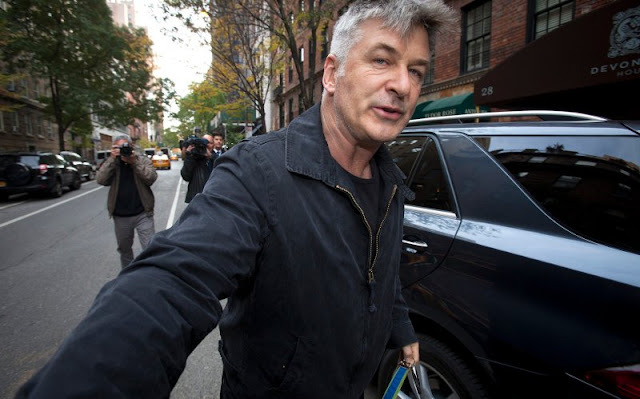 Brunetti, who was dubbed “the most hated executive in Hollywood” by Vanity Fair last year, is clearly unconcerned with winning the friendship of Baldwin, whom he directly accused of lying about his knowledge of Nikki Reed’s age in his autobiography, Nevertheless, which hit stores this week. In an epic 11-tweet outburst, Brunetti launched a searing attack on Baldwin’s claim that he did not know Nikki was underage when they filmed the movie. “My first indie film was Mini’s starring @AlecBaldwin who knew @NikkiReed_I_Am was 16 (not 17) and he didn’t mind,” Brunetti, who produced 50 Shades of Grey, began his comments on social media last night. Brunetti then tweeted, “I have just received three other messages from crew and other producer stating that he knew how old (Reed) was during filming. “If Baldwin had simply said in his book he didn’t know Reed’s age, I would let it go. However to say that when he found out after filming he yelled at the producers (I being one on the film) makes it out to seem we did wrong. Baldwin has yet to respond to Brunetti’s outburst. In his new memoir, Alec Baldwin claims that he did not know Nikki Reed was underage when they filmed romantic scenes for a movie and now producer Dana Brunetti is speaking out to slam that claim. The actor played a man having an affair with his stepdaughter (Reed) in the 2006 indie film Mini’s First Time. “I was forty-seven, and it never occurred to me to ask how old Nikki Reed was. When I found out, just as we finished, that she was seventeen, I flipped out on the producers, who had told me something different,” Alec wrote in the new book. 0 Response to "Alec Baldwin Knew Nikki Reed Was Underage in Indie R-Movie, Producer Alleges"